Balliol engineering student Felix Peterken is taking part in a live online Oxplore event for schools on 29 March 2019. Oxplore is an innovative digital outreach portal from the University of Oxford. 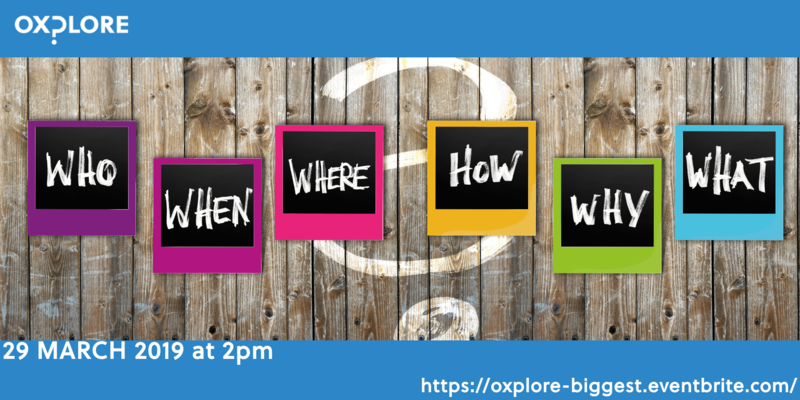 As the ‘Home of Big Questions’ it aims to engage those from 11 to 18 years with debates and ideas that go beyond what is covered in the classroom. To celebrate its recent 50th Big Question, it will be discussing the ‘BIGGEST big questions’ with a panel of Oxford students, including Felix. A second-year Engineering student, Felix hasn’t specialised further yet but is really interested in the medical applications of engineering. Felix went to a state school in South Wales where only one person (to his knowledge) had successfully applied to Oxbridge before him. Since joining university he has been involved with lots of outreach work for the University, Department, and the college to encourage people like him to apply. Alongside his degree, he has done lots of climbing - starting the Balliol Climbers’ club - and represented the university twice at the varsity competition, he’s joined a society aiming to enter the iMeche Formula Student competition, and he is also a part of a New Orleans jazz band. The event has been designed with UK school groups from Years 7-13 in mind. Details about how to join the event are here.